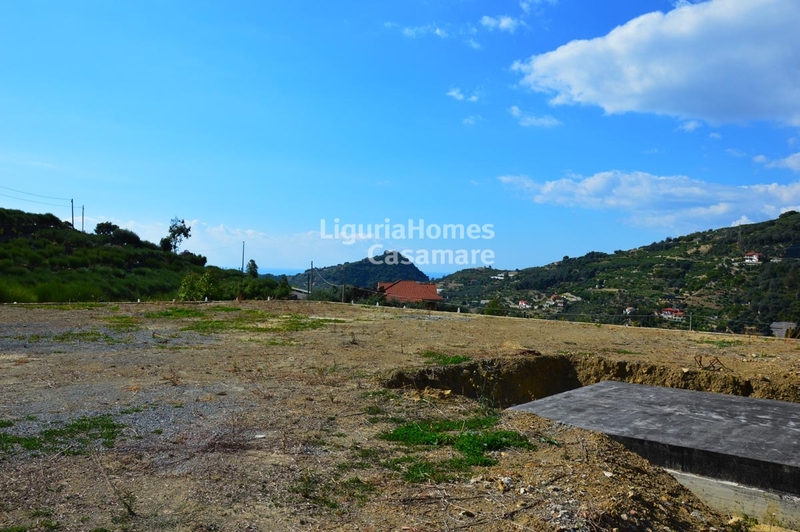 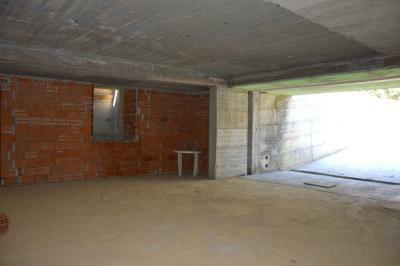 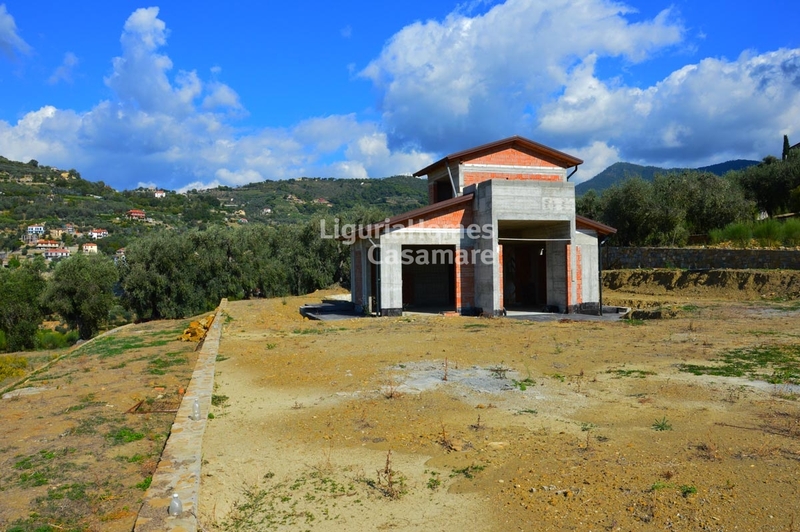 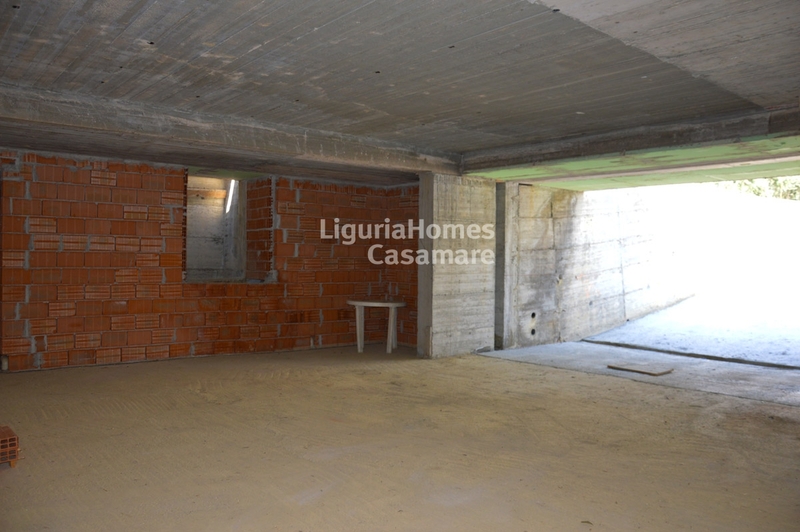 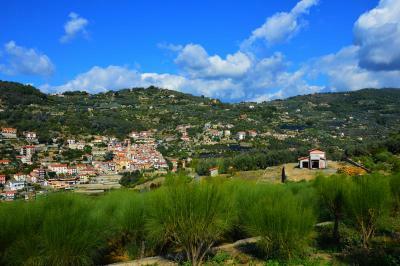 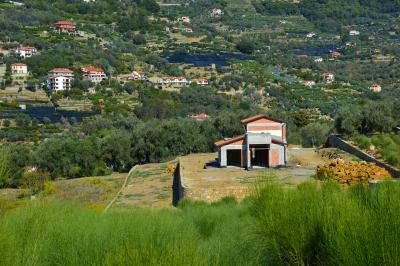 Vallebona, Villa under construction for Sale with flat land. 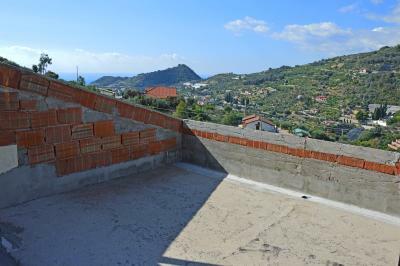 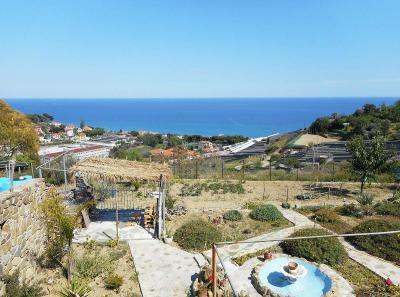 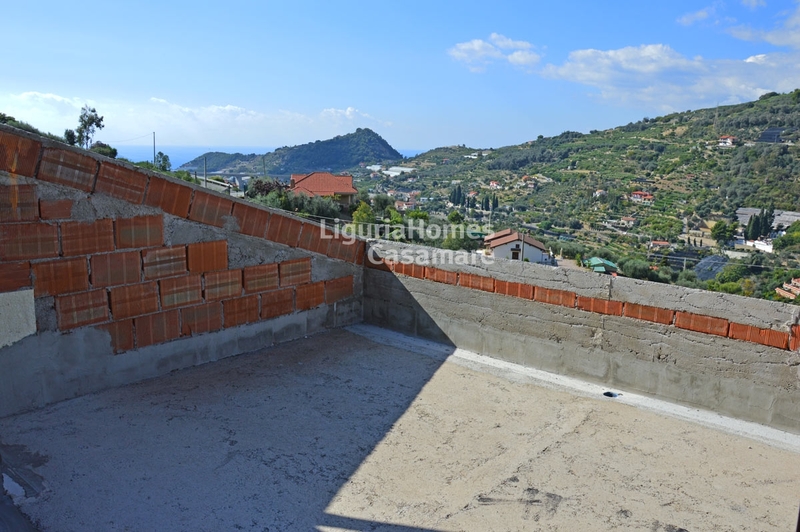 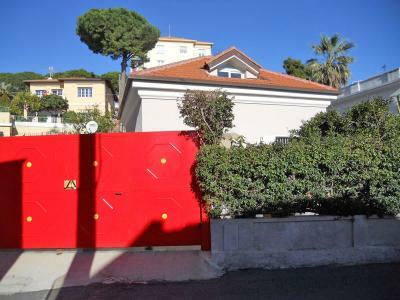 On the hillside of Bordighera in the municipality of Vallebona Villa for Sale with open view overlooking the valley and the sea., surrounded by 1,500 sq m of flat land with new walls covered in local stones. This new Villa for Sale in Vallebona is set over 3 floors consisting of: large living room with kitchenette, 2 bedrooms, 2 bathrooms on the ground floor; master bedroom with panoramic terrace, dressing and en-suit bathroom on the first floor; double garage, 2 utility rooms, technical room and spacious hobby room on the lower ground floor. 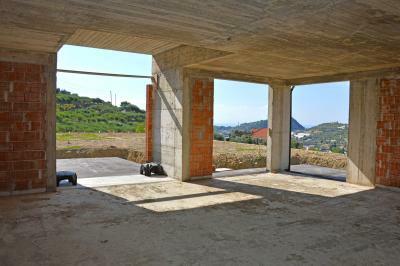 The Villa in Vallebona under construction enjoys a lovely view and a easy access through a quiet asphalted road. 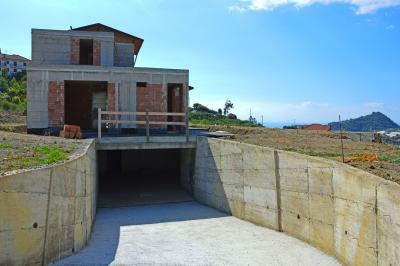 It will be sold to be finished, as it is now. 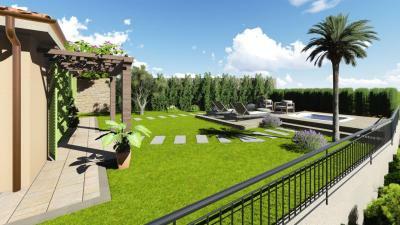 The project also includes a swimming pool.